As there are many reasons due to which the users need to export their data from Exchange mailbox. Even the users can move to the hosted solution, can migrate to various Exchange organization, or also they can use Exmerge to perform Exchange brick-level backup of mailboxes. 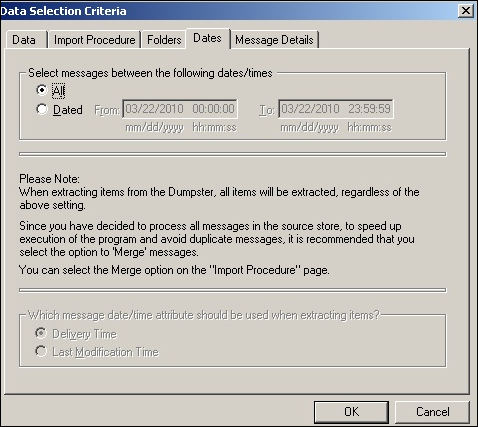 In the following section, we are going to discuss the manual approach to export mailboxes using Exmerge in Exchange 2003 in a simplified way. 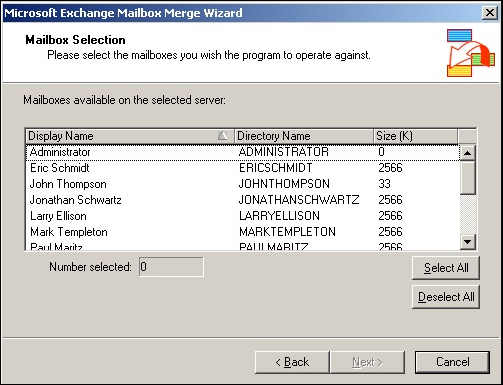 Microsoft Exmerge is the free utility that can be used in Exchange Server 2003 and all below versions. As long as, the users have installed Exchange Management tool on the desktop where they plan to use Exmerge. NOTE: MS Outlook is not necessary for this process and no need to install on Exchange Server 2007 and older versions. Before running the Exmerge tool there are a few things that we have to do. After downloading an Exmerge, the users just need to extract it into the respective (C:\Program Files\ExchSrvr\Bin) folder and run on the system. Because this process relies on DLL files within the folder. The next option is to add this storage location to an Environment Variables but always it requires a reboot to take various effects. Now, the users want an account that can access all the mailboxes, which they need to export. such type of profile is commonly used as a service account. If the users unable to have service account then, they will configure the new user to modify permission. Once the permission has been changed on the data store there must be a delay being applied in 2 hours. This could be step up by restarting the Exchange Information service Store. Remember: The administrator does not have such privileges by default and under an Exchange Server installation, the user permission will be denied. That’s why for this purpose surely to configure a new profile. 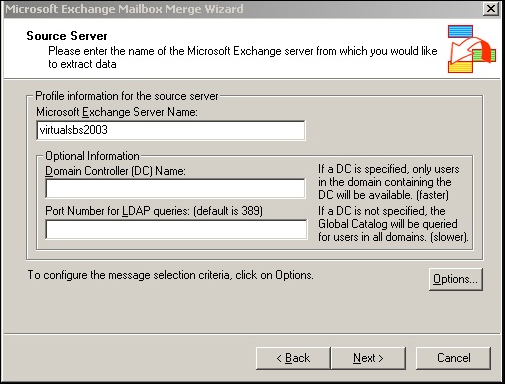 For extracting all the mailboxes from MS Exchange, first, the users have to log in with a service account that has already created and access exmerge.exe from the folder i.e. c:\program files\exchsrvr\bin. An extraction and Import activity will help to extract each mailbox, select PST files and after that, import them into the source server within one step. Next, the users choose Extract or Import (Two Step Procedure) option. 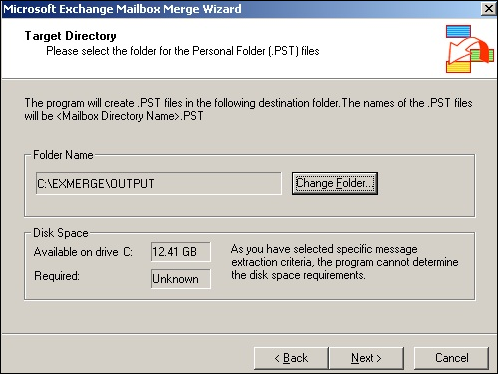 It will permit the users to extract all mailboxes to .pst format file for later use. Then, click Extract or Import and choose Next option. 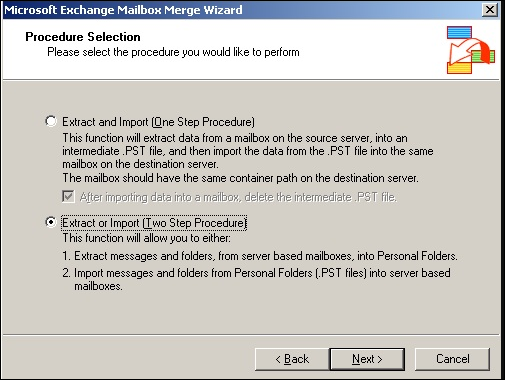 If the users go with Step 1 that will extract Exchange mailboxes into PST and save them. Click the Next. The source server window is shown above where all details of an Exchange, Domain Controller and Port Number for LDAP are optional. For more queries, the users have to type the exact name of an Exchange Server. The domain controller, as well as port number both, are used if the users have different domain configuration and must specify the multiple domain controllers. NOTE: Exmerge tool will not extract all mailboxes that are around 2GB in file size in the single pass. While using Exmerge there is the file size limit of PST format. To follow this, the users can select the option button from a source server as given below. Under the options tab, choose the Dates and it will permit to specify the date range for converting first, this is required only for bulk mailboxes up to 2GB in size. After splitting, the users can export all possible files as per individual requirements. Once the users have completed then, click the OK button and choose Next on source server window to display the mailbox store selection screen. On this window, the users can choose the mailboxes that they need to select either separately, by using CTRL button to choose mailboxes randomly or click on Select All option for selecting all the mailboxes. Keep in mind that whatever selection the users have made on the options screen will apply to ALL of the mailboxes for exporting. Choose the Next button. Select the desired location that the Exchange is recently using, by default the Exmerge, will detect this but it is only worth after clicking twice. Click Next option. From the target directory screen, choose the folder in which the users want to save their PST files. It is just worth that the users can select the previous folder so they have to make the folder prior to select Change Folder button. After selecting this, Press Next. The Save Settings window permits the users to save all settings that were already mentioned in the wizard. This is helpful if the users want to export mailboxes using Exmerge in Exchange 2003 and afterward, schedule it for the next time or if the users want to run backups on regular basis using Exmerge for brick level backup. Once the users have all such settings stored in exmerge.ini file then uses the Exmerge tool in command line without running through this wizard. Once an extraction process has been finished, click the Finish option. If there is an error listed on the screen then, the users have to review an exmerge.log file within c:\program files\exchsrvr\bin the folder. 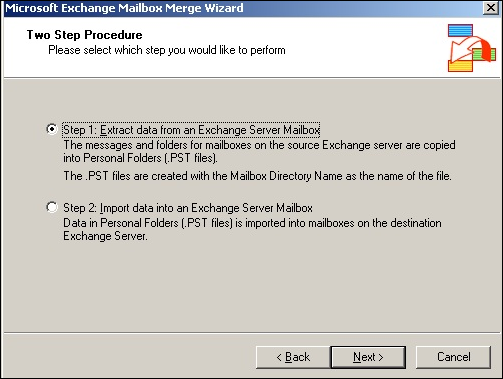 These are the manual steps to export mailboxes using Exmerge in Exchange 2003. Let’s have a look at the next section of Exmerge program limitations. Exmerge program has discontinued from Exchange Server 2007 and Microsoft introduced Exchange Management Shell cmdlets, Export-Mailbox, and Import-Mailbox programs. So if an admin wants to export Microsoft Exchange Server 2007, 2010, 2013, 2016 mailboxes so he/she has to opt the manual program or automated solution. To avoid Microsoft Exchange Server hectic Powershell commands use an automated solution. 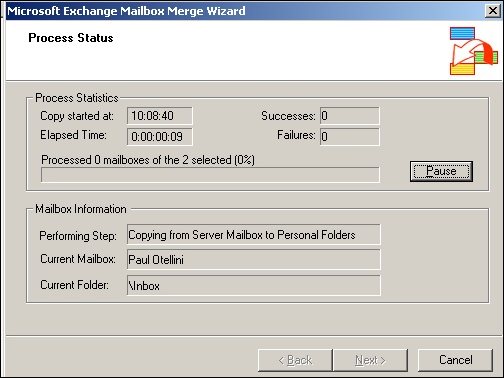 After considering the various reasons, most of the users prefer to export mailboxes using Exmerge in Exchange 2003. 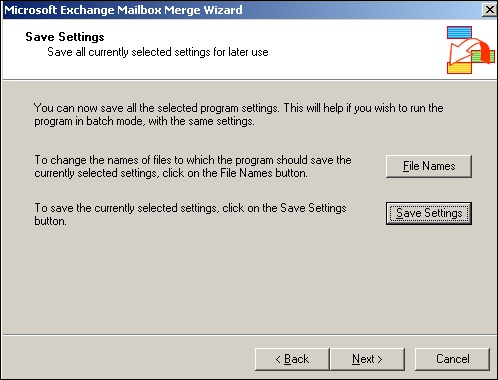 However, Exmerge for Exchange 2003 is mostly used to perform brick-level backups, and sometimes create the backup and repair all mailboxes individually. So, we have discussed the manual solution to perform the conversion using Exmerge but few problems arise while using the free program. Thus, we have recommended Exchange Export Tool that allows migrating all .edb emails to PST format without any data loss. Easily perform migrating task in any Exchange Server versions including 2016, 2013, 2010, 2007, 2003.